Councilor Bill Linehan said that as a marathon runner, he has come to accept the triumphs and pains that come with the grind of politics. He described his years on the council as effective and rewarding. Councilor Bill Linehan, a confident and sometimes controversial figure in city politics,announced Wednesday he will not seek a sixth term, creating a rare open-seat opportunity on the council and potentially spurring a generational shift in leadership for one of the city’s fastest-changing neighborhoods. His decision, announced in an interview with the Globe, is expected to open the floodgates for possible challengers who had been waiting for his departure. Linehan has hinted for months that he was exploring options outside the council. Linehan, 66, grew up in a South Boston housing project and rose to take the spotlight of the council presidency. 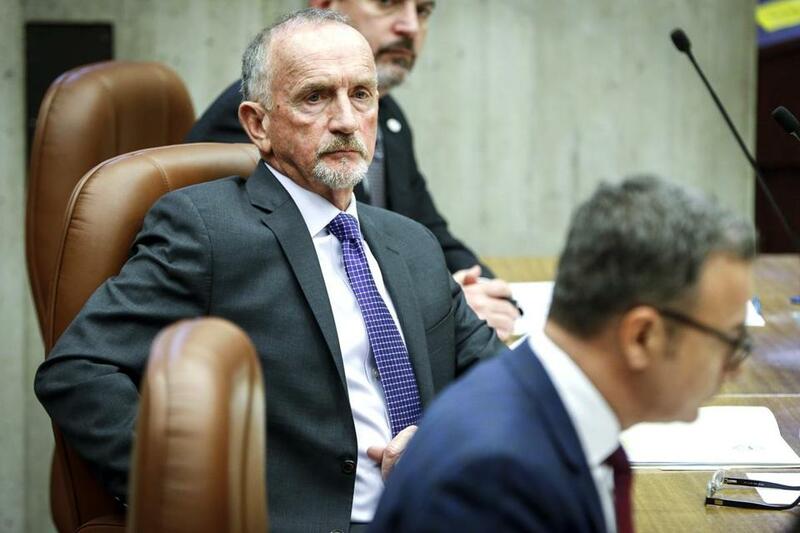 He first swept into office in 2007 in a special election to fill a vacancy left by James Kelly, then the councilor for District 2 — a swath that stretches from Castle Island to the Prudential Tower. Linehan’s tenure includes major milestones, such as his advocacy for development along the South Boston Waterfront, as well as major points of contention, such as his 2011 redistricting effort and push for a council pay raise. Friends describe Linehan as a straight-shooter and behind-the-scenes negotiator who is willing to take public heat for the issues he cares about the most. They noted his encyclopedic understanding of the inner workings of government and the council, citing his nearly three decades in City Hall as director of operations in the Parks Department and special assistant to chief of operations. Then-Mayor Thomas M. Menino dubbed him “the fixer” when he asked Linehan to helpthe troubled Bowdoin-Geneva neighborhood. As council president in 2014, Linehan — attacked as unfriendly to gay causes by some liberal activists — became a catalyst behind the scenes to get gay rights groups to march in the South Boston’s St. Patrick’s Day Parade. Linehan said that as a marathon runner, he has come to accept the triumphs and pains that come with the grind of politics. He described his years on the council as effective and rewarding. Critics have said Linehan represents the old guard of South Boston politics and was unable to handle dramatic cultural changes in the city. They said he has not done nearly enough to stop the encroachment of major development in his district, which squeezed longtime residents out of Chinatown and South Boston. Over the past decade, 50 percent of development in the city occurred in his district, the councilor said. He acknowledged the tensions those projects evoked, saying at times they seemed “unmanageable.” But Linehan said is comfortable and pleased with his effort to influence, interpret, and guide residents on those efforts, even when they are not the most popular. He also defended his push for a pay raise for all the councilors, saying that he was not advocating to benefit himself and that the raises were long overdue. Linehan said he will spend the rest of the year working on other key projects, including advocating for the redevelopment of the Winthrop Square Garage site. Linehan said that he does not intend to seek another elected office but he is keeping his options open for potential consulting, advocacy, and other employment. Looking back, he said, he has no regrets. His wife, Judy, has been retired, and they vacation on the Cape. At least two people have announced their intentions to run for Linehan’s seat. They include Michael Kelley, a 46-year-old former Menino staffer and longtime City Hall operative who lives in the South End. He is the founder of a startup, Hire Me Local. Corey Dinopoulos, an artist and community organizer who cofounded the privately backed Olympics campaign known as Boston 2024, also said he is running. A possible contender is Edward M. Flynn, a 48-year-old South Boston activist, probation officer, and retired Navy veteran, who is also the son of former mayor Raymond L. Flynn. Members of the council were warming to the news of Linehan’s departure. Councilor Salvatore LaMattina said he and Linehan started at City Hall 30 years ago making low pay and working their way up. Council President Michelle Wu, who withstood criticism for casting a pivotal vote for Linehan when he sought that top job, said Linehan’s “steady and transparent leadership as council president gave voice to all councilors and strengthened the City Council’s role as a platform for deliberation and influence.